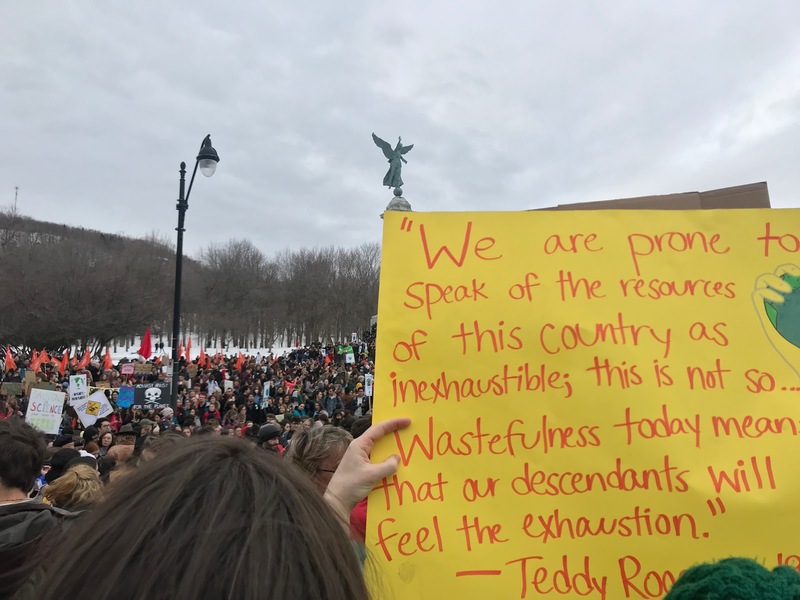 Tens of thousands of student protesters took to the streets of Montreal this Friday March 15, calling on their governments and universities to take tougher action against climate change. 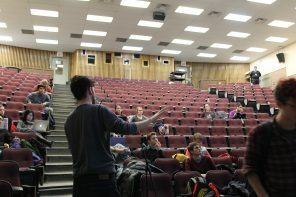 Among this group was a large faction of McGill students, many of whom had already been mobilizing on campus against lax environmental policies in groups like Divest McGill. 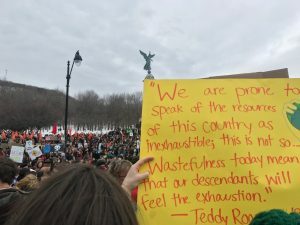 Inspired by Swedish student activist Greta Thunberg, the walkout was one of hundreds across the globe. 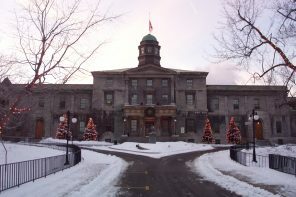 McGill students were joined by their counterparts from Concordia, UdeM, UQAM, various CEGEPs, and many other Montreal universities and high schools. Greenpeace estimates the total amount of protesters in Quebec at over 150,000. They call us radical, but what’s radical is being complacent in the climate crisis. 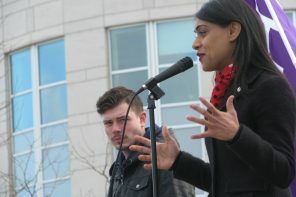 The rally began at noon at the foot of the Arts building, where walkout organizers laid out various demands: the establishment of educational programs about the environmental crisis, university divestment from fossil fuel industries, compliance with the targets outlined in the Intergovernmental Panel on Climate Change (IPCC) limiting global warming by drastically reducing global carbon dioxide emissions, and respect for the United Nations Declaration on the Rights of Indigenous Peoples (UNDRIP). 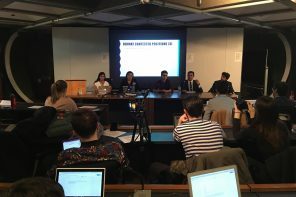 Various speakers outlined the disproportionate consequences of climate change on impoverished regions in the Global South, as well as indigenous peoples and migrants in the Global North. 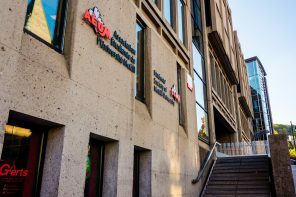 Among these was Indigenous Health Professions Program (IHPP) Outreach Administrator Alex Allard-Gray, a member of the Listuguj Mi’gmaq First Nation, who outlined various incidents of land restriction and police militarization against indigenous people. Why is it always on the backs of indigenous people when we talk about progress and the need to tap into resources? 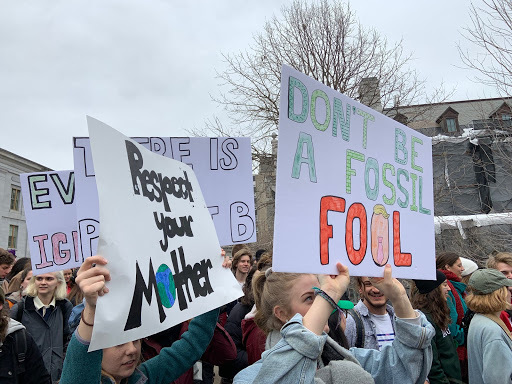 Escorted through the streets by police forces, the protestors marched from the McGill campus down Sherbrooke, eventually gathering together with the entire city-wide march in Jeanne Mance Park. The group then travelled down St. Laurent and St. Catherine and eventually convened at Place des Arts. As stipulated by its organizers, the protest remained nonviolent.